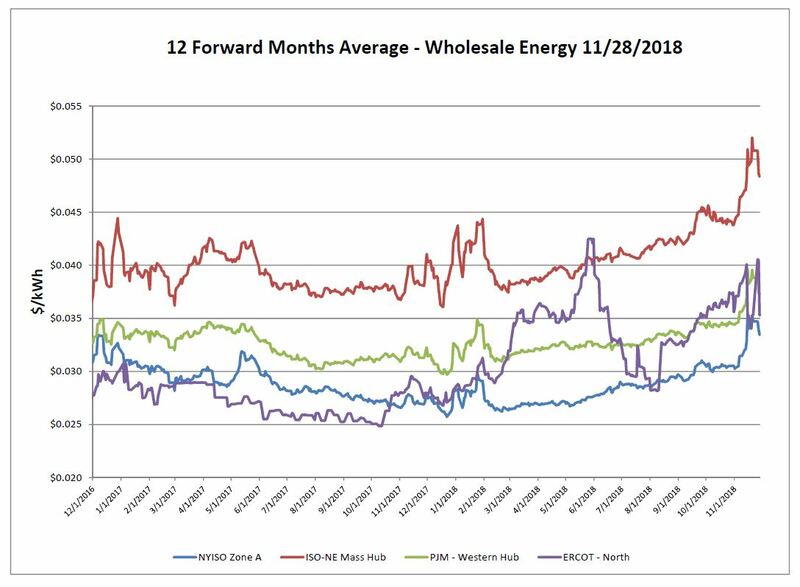 Wholesale energy average for the 12-forward months has been volatile across the board, following the trends of natural gas. Over the report week, NYISO spiked and then dropped and ERCOT has been all over the place. ISO-NE rose above $0.05 cents, and then retreated back where prices were trading about 2 weeks ago. In PJM, the tightness in supply has historically greatly affected price, and that trend continues. All volatility appears in the near-term months. The upcoming spring/early summer months are trading close to or below last year. 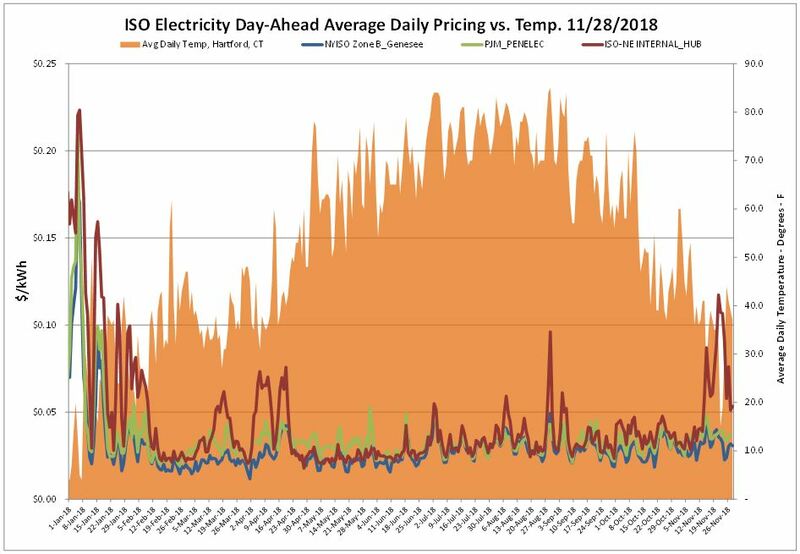 ISO-NE saw the greatest activity on the day-ahead market as they experienced a much colder than average day that caused prices to spike. 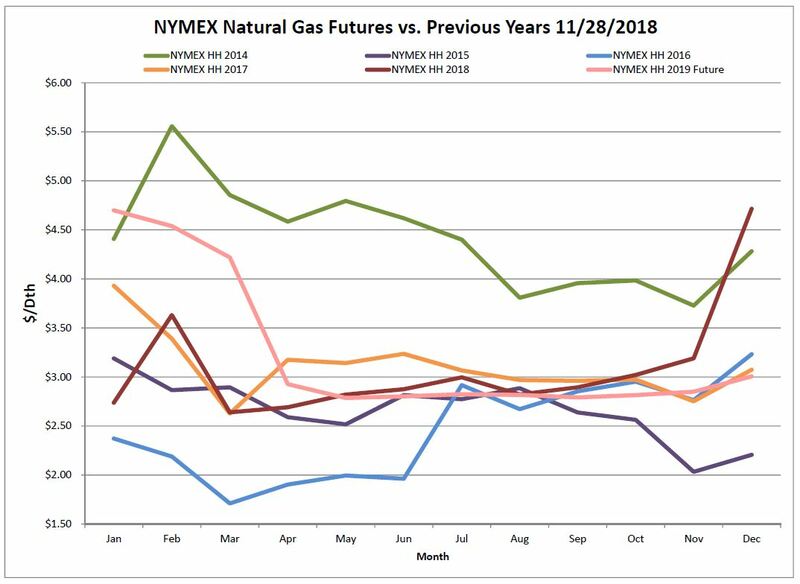 The market appears to be more concerned with the drastic start to the winter heating season regardless of record high natural gas production. This November was the coldest since 2014. 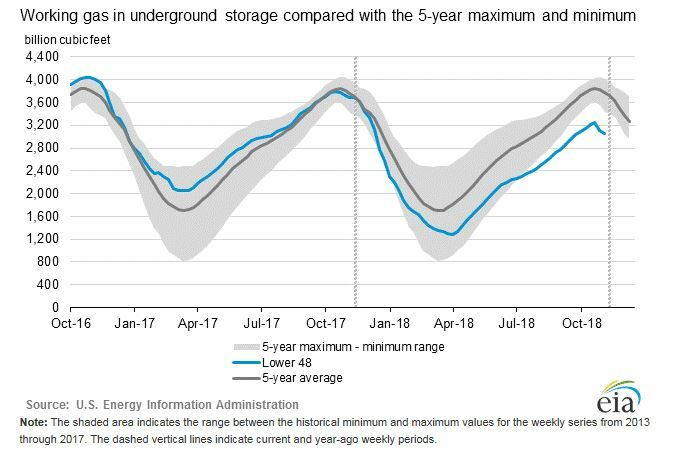 A cold November, combined with the current natural gas storage deficit, has the market concerned for the upcoming winter season. December ‘18 NYMEX future settled at $4.715. This was the highest close since May 2014. January made its debut as the prompt month. While winter prices are elevated, it’s not a bad time to review contracts expiring in April or future out months as these are still at a decent value. The EIA reported a net decrease of 59 Bcf from storage. Working gas in storage was 3,054 Bcf as of Friday, November 23, 2018. This withdrawal came in below market expectations. Last year a withdrawal of 35 Bcf was reported, and the 5-year average is 48 Bcf. 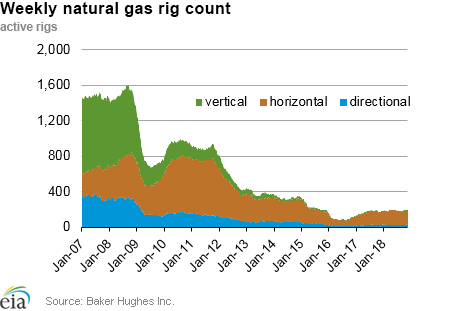 The Baker Hughes exploration gas rig count decreased by 5 rigs week over week for a total of 189 rigs. This is 9 more rigs than were in operation at this time one year ago when there were 180 rigs. 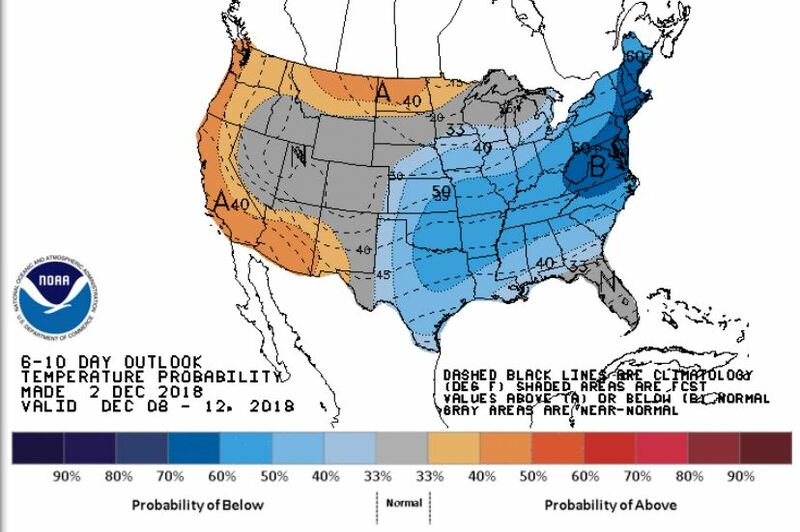 After the above average first weekend of December, weather forecasts are anticipating another round of below-average temperatures through mid-December for the East coast, Great Lakes and sweeping down into Texas.